I Wanted to do something special on this Father’s Day for my Husband on behalf of my four year old daughter, who has been telling us ” when I grow up I will get a gift for you”!! So I had planned my husband’s favourite Baked Beans for breakfast and was deliberating what to do for lunch. Could not plan much as my work has been hectic and also we were busy shifting my In laws closer to our place. 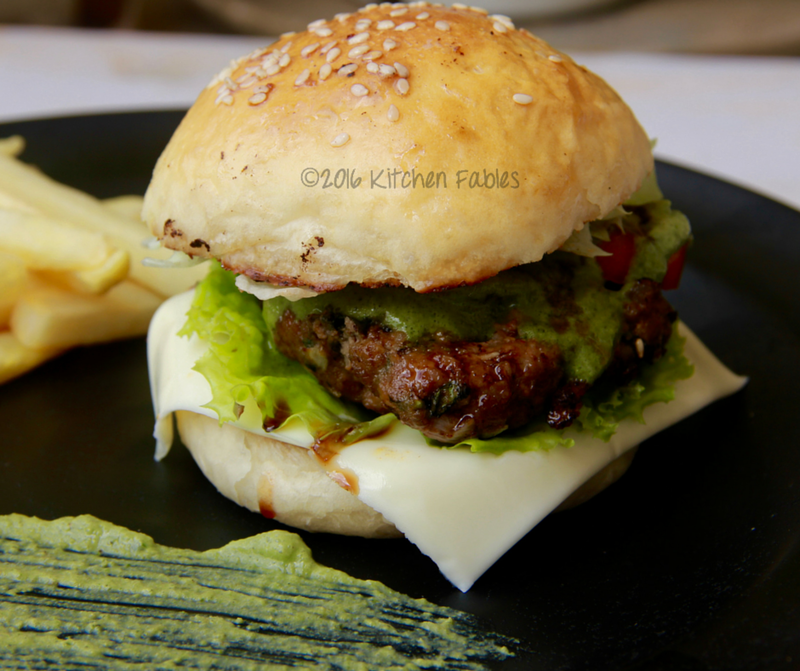 I decided to make Lamb Burgers as he loves burgers especially from one particular outlet. Burgers are considered to be fast food but if one plans to make it from scratch, it needs a little planning, which i am relatively good at. In my 15 years of work experience one mantra that I strongly believe in is , execution becomes so much easier if planned well. So on Friday evening on my way back from work I thought through the recipe and listed down all the ingredients and placed an order with Big Basket on Saturday morning. 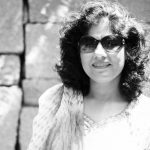 Big Basket is convenient for people like us who have busy schedules, as we can shop for fruits and vegetables online without spending long hours in supermarkets. I prefer to buy vegetables online as the quality is good, prices are reasonable and I save time. Big Basket also offers a wide range of organic vegetables and dry fruits online. So instead of spending 2-3 hours shopping ( commuting, parking , shopping and waiting in the queue ) , i spent 15 minutes ordering from Big Basket and spend the rest of the time with my little one. 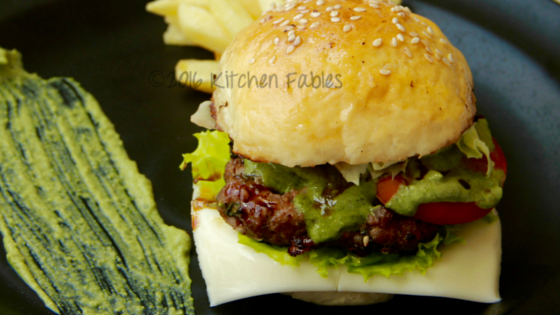 This lamb burger has multiple elements, like Burger buns ( Recipe in a later post ), minced lamb patty, Two Sauces – Creamy Basil and Red Wine, Raw vegetable – Tomato, Onion, Green Lettuce an Iceberg Lettuce, Pickled Jalapenos and olives and Cheese. All the ingredients that I didnt have at home , I ordered from Big Basket. 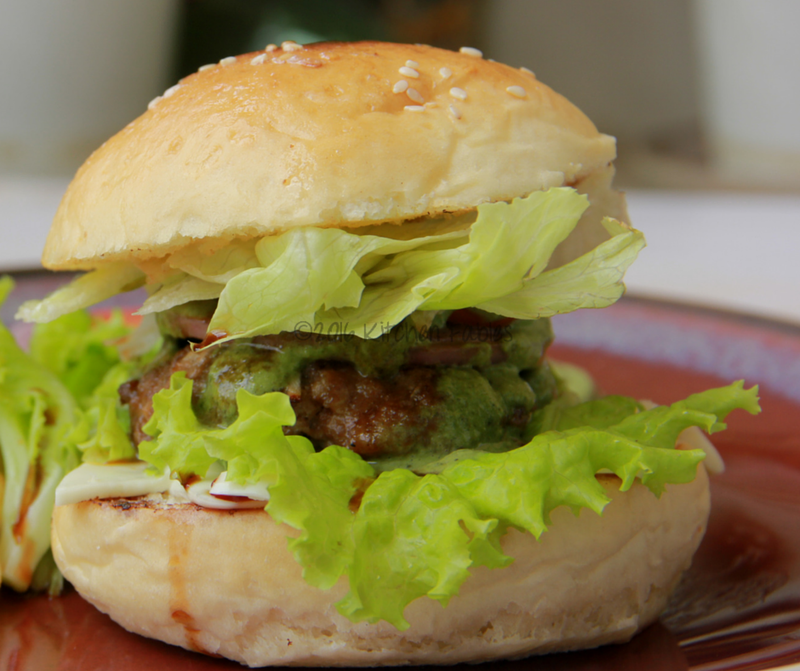 A Juicy Lamb Burger Made at home. 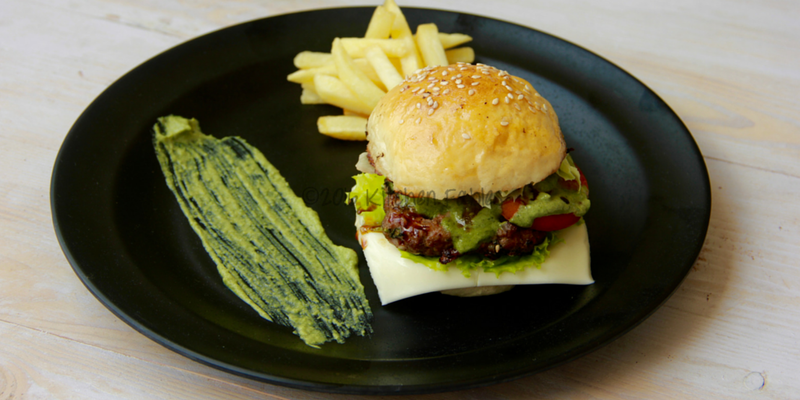 The creamy basil sauce and Red wine sauce coupled with Home made minced meat patty makes it a perfect meal. In a grinder make a paste of basil, garlic, salt, sugar and curd. whip the cream and add to the basil paste. Put the bottom half of the burger on a plate. Put a slice of cheese, green lettuce on it. Now place the meat patty, onion and tomato rings. Spread basil sauces, 5-6 drops of red wine sauce and then add iceberg lettuce. Cover it with other half of the bun. Serve it with French fries. If you like the recipe please show your support by hitting the little heart below and if you would like to be notified whenever I post a new recipe please click the follow me button.